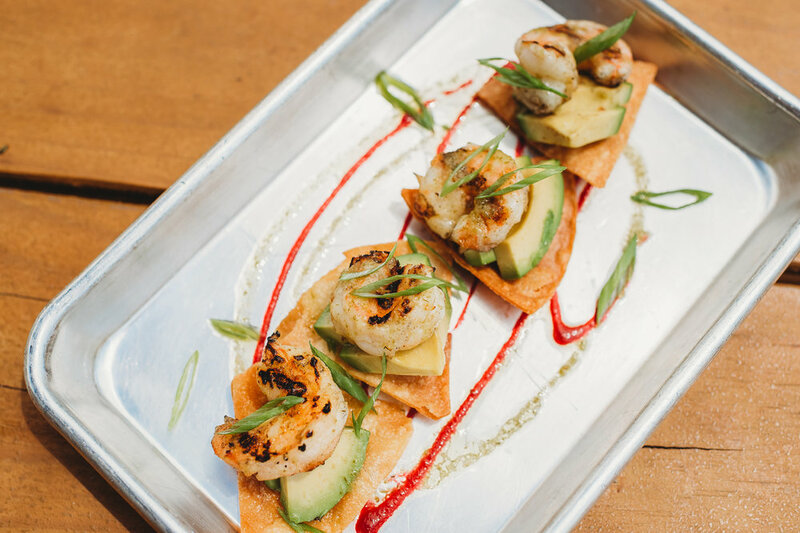 With the advent of a tiny, yet proper kitchen, Chef Reed and his team found their culinary calling by way of the classic Mexican sandwich, the Torta. Fresh baked Telera Rolls were the perfect platform for Chef Reeds' endless creativity and unique approach to balancing classic and contemporary flavors and techniques. A Chef's approach to sandwiches was born, and as they say, the rest is history. Our team obsesses over every detail so you don't have to. Our goal is to create a comfortable space that facilitates positive vibes and incredible flavor experiences for our patrons, day in and day out. Whether you need to get in and out quick, or you are looking to kill some time on the patio with your crew, Service First is the name of the game at ADP. As a team of artists and musicians with passion for food and community, operating two locally grown and owned kitchens in East Austin ain't a bad gig. Not only do we get to hone our craft and be creative everyday but we also get the opportunity to be a partner to the community that keeps our doors open. We jump at the chance to give back and help all the incredible, hard working organizers and do- gooders the best way we know how, grub made with love! We take pride in our space as a platform for local art and culture and love playing host to all sorts of events on a weekly basis. Check out the Events Calendar on our Blog and follow us on Social to keep in the know with whats going down @ ADP. Chef Reed comes from a long line of New American kitchens both in his home town of Fayetteville, AR and in Austin, most recently at Parkside. Simple, contemporary preparation and a focus on vegetable-forward cooking inform his menus. Since 2011 he has brought his passion for providing thoughtful service and unique dining experiences to the Team ADP. Life long friends Chase and Dustin grew up together in Destin, FL working in the service industry as beach attendants, bar tenders, and servers. A couple of finance degrees and few years of trying to get a "real job" later, Chase and Dustin found themselves reconnected in Austin TX with only one goal -- to do it their way. An opportunity to acquire a Food Trailer was all they needed to take a chance at creating their own destiny in the city they love and now call home with their families and friends. Our team has over 6 years experience in the Austin Catering scene. From Weddings to Corporate Lunches and everything in between, our team stands ready to feed! Shoot us an email letting us know the sitch and we will get back to you ASAP! 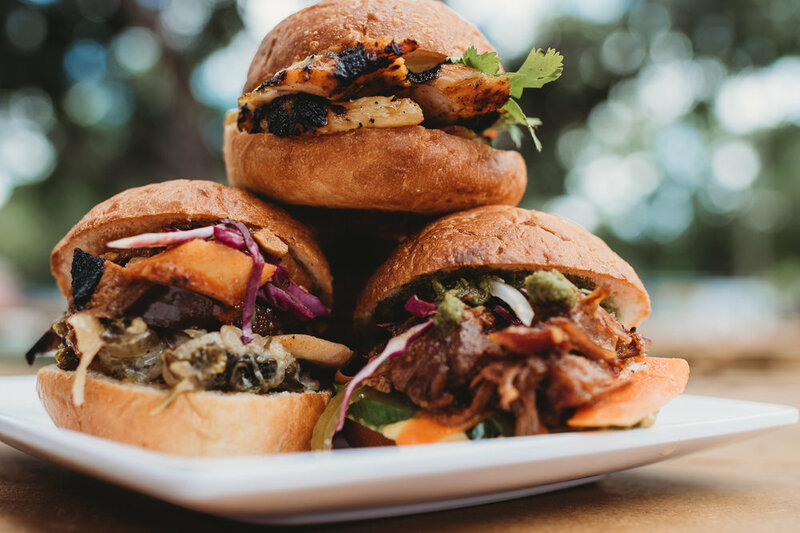 From meaty to veggie, ADP has you covered with packed out sliders. Fried Chicken with Corn Bread Puree, Grilled and Chilled Veggies, and our eclectic Pickled Selections round out a huge program of Small Bites designed for anything from an office happy hour to your weddings cocktail hour.